G’morning! Or maybe good afternoon! It’s just me again and weirdly, I’ve been playing in polish. Which polish? 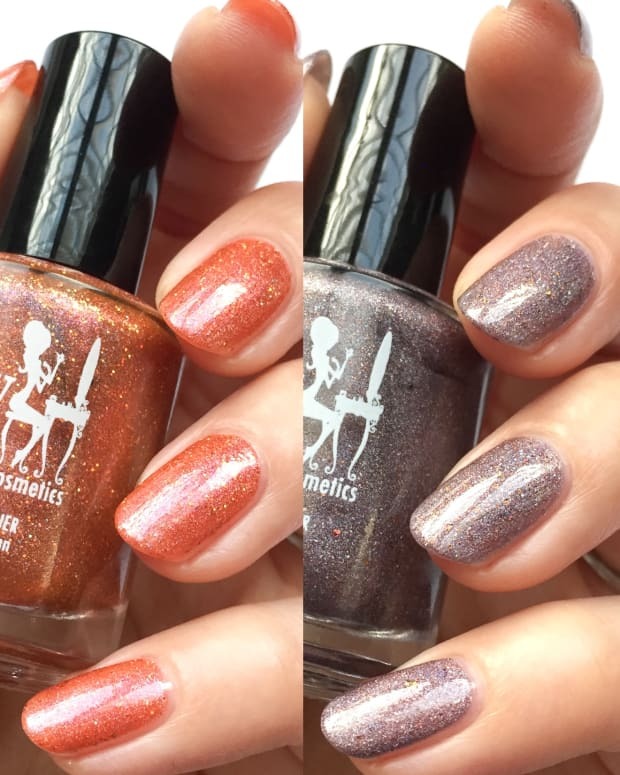 Oh, it’s this most adorable collection called Springles, brewed by the amazeballz Girly Bits Cosmetics. Girly Bits Peep Calm and Polish On – Springles Collection 2019 (above). My notes for this 4-shade set are short and sweet. Everything just says “2 + TC” which means that all of it was easy and a joy to paint. And the shades themselves? Come on! They’re all kinds of Spring-tastic and Easter egg-y, aren’t they? 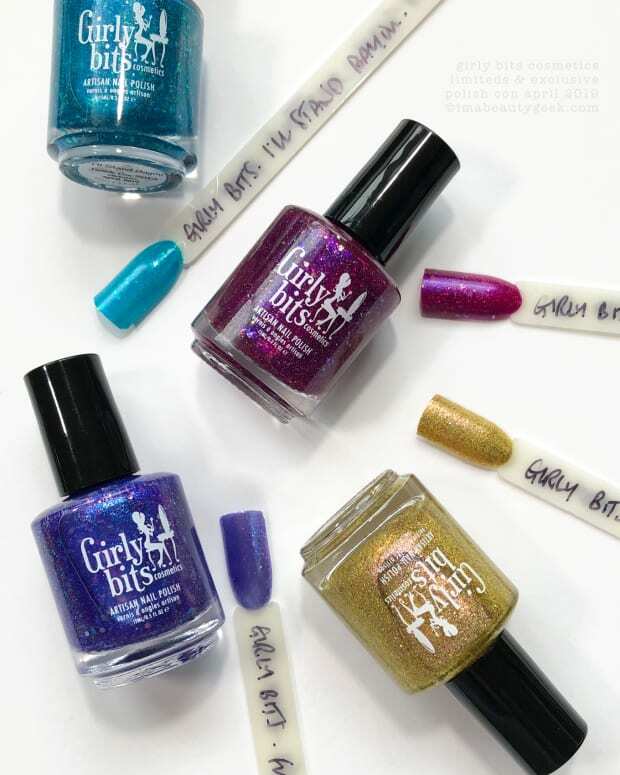 Girly Bits I Beg Your Garden – Springles Collection 2019 (above). My notes also say that I have pudgy sausage fingers. You’re looking at these and thinking I’m out of my mind. Nope, I’m really not. It happens when I get out of the shower, grab my pint of coffee, and go directly to my desk without passing go (or collecting $200). All my finger wrinkles seem to disappear and if the light hits my hand just right, it looks like a put on some kind of smoothing filter (I did – it’s called the “pudgy sausage finger filter” and you can get it at a shower near you). 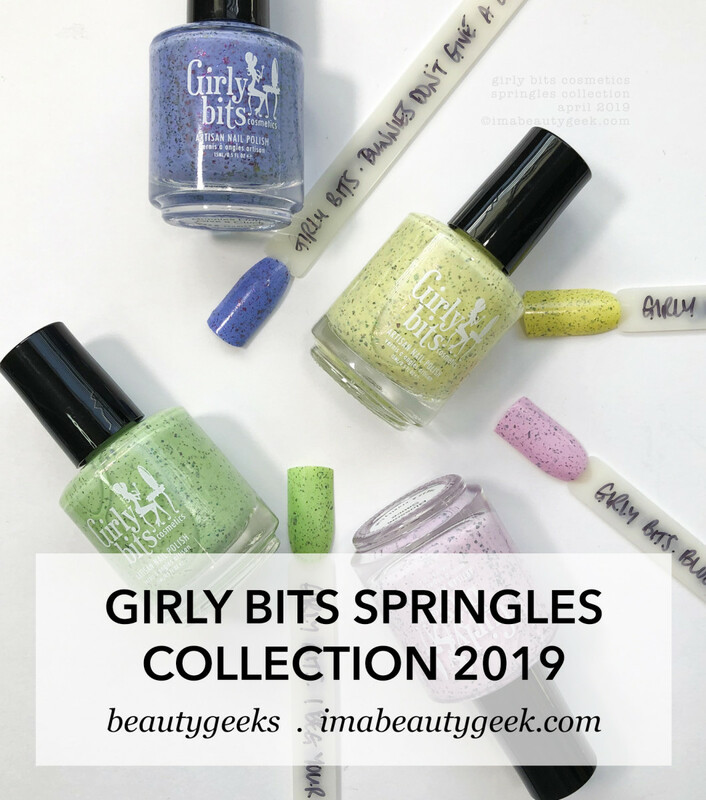 Girly Bits Blossom Sauce – Springles Collection 2019 (above). But wait! 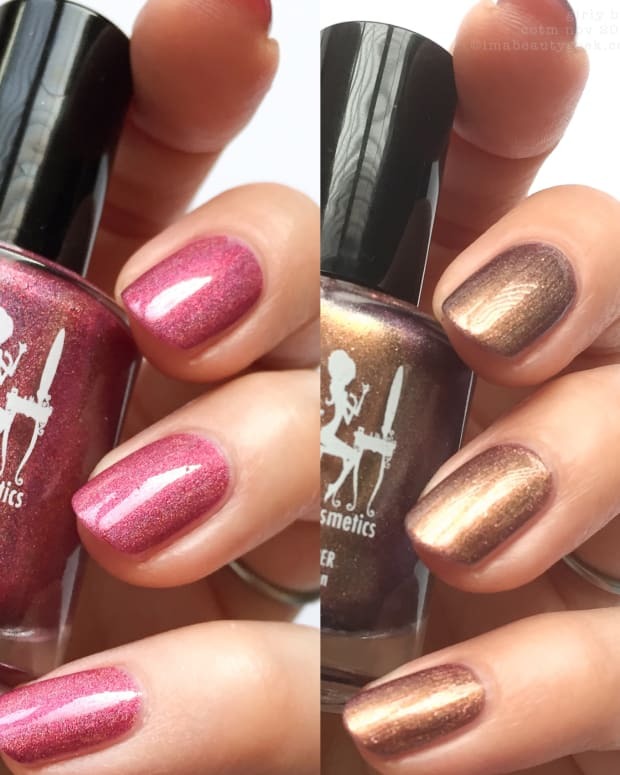 We should really say some more about these adorbs polishes, shouldn’t we? Like how perfect they’d be as a skittle mani? Or how great they’d go with an Easter hot cross bun? Or how much I just wanted to lick my nails after I did them to see if they tasted as candy-coated-chocolate as they looked? Because if you ask me, all of that is true! Girly Bits Bunnies Don&apos;t Give a Cluck – Springles 2019 (above). Now let&apos;s discuss Spring nail polishes you’ve seen so far and how perfect this little collection is, yes? I’m done talkin’. Your turn! Oh! Do I need to mention this collection launches... now? Because it does! But hold on, okay? There&apos;s another happy Girly Bits collection launching next week. If you hang tight &apos;til then, I&apos;ll show it to you and you can order ALL the things at once! manicures & photos karen falcon (she’s gotta run – she’s seriously short on time).